We can install or repair any brand and any model of plumbing, heating, or air conditoning system you may have. But, we highly recommend these top products for their efficiency, quality, and value. Offering an extensive breadth and depth of plumbing fixtures has always given Kohler an advantage in bath and powder room design. Kohler suites, collections and ensembles, explore design themes to their fullest. Kohler brings continuity to any décor with design themes that range from contemporary to traditional. American Standard is the world's largest producer of bathroom and kitchen fixtures and fittings. American Standard is the brand that is best known to homeowners across the US. With the company tracing its roots back to the 19th century, many Americans remember growing up with American Standard and Standard logos in their childhood homes. By putting customer needs first, Jacuzzi has consistently created whirlpools and tubs that move water more powerfully -- and more quietly -- than anyone else. And though they say that Jacuzzi provides superior hydrotherapy, you may prefer to say that it simply makes you feel great. They apply this same innovative spirit and focus on their customer to every product they make. Innovative features that are uniquely Moen. Styles unlike anyone else. And dependable produts that last a lifetime. Year after year, that's the Moen promise. And it's backed by qualities that make all Moen products durable, reliable and beautiful. With Moen, you'll always find the perfect balance between styles you'll love and innovation you can live with. Toto is a single source for all your restroom needs. They offer a complete line of close coupled and flushometer toilets, urinals, lavatories, flush valves and faucets that provide a single source for your specification, which ultimately leads to single source responsibility. We won’t blame you for "incompatible parts." We’ll simply take care of any situation. One call. One source. It’s TOTO. For over 80 years, Elkay Manufacturing Company has created high quality, innovative products that consumers count on to deliver unprecedented levels of style and function. As the world's leading manufacturer of stainless steel sinks, Elkay offers the most extensive product line available. Franke - What Would I Do Without My Franke? Based in Hatfield, Pennsylvania, Franke Kitchen Systems Division offers domestic sinks of highest quality and advanced design for perfect performance and aesthetics. Franke sink systems are complete with a full line of faucets, luxurious custom accessories, plus filtration systems and disposers. Introducing the new Swanstone. For nearly four decades, Swanstone has been a quiet leader in the kitchen and bath industry. Their high-quality products have always balanced durability, value and style. Innovation is one of their core values, and they have set a standard with their ability to invent. Now it’s time to reinvent. Delta revolutionized the faucet industry with the introduction of Brilliance — the first anti-tarnish finish guaranteed to last for life. Developed using a state-of-the-art manufacturing process, Brilliance delivers timeless styling and long-lasting durability, year after year. Grohe has built its worldwide success on an undisputed reputation for quality and technical innovation. Grohe is the largest faucet manufacturer in Europe, and ranks among the top three faucet manufacturers in the world. Truly international in scope, Grohe distributes in over 185 countries. Price Pfister Pfaucets: A leader in the plumbing fixture industry for 90 years, Price Pfister offers a full range of Pfresh Pfashions, Pfresh Pfinishes, and Pfresh Pfeatures offered in their innovative and stylish products. Reliability with Style: In-Sink-Erator garbage disposals and hot water dispensers are the brand of choice. Whose choice? The professional’s choice. 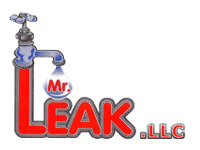 In fact, In-Sink-Erator is the choice of 9 out of 10 plumbing professionals. Why? Because of their commitment to quality, service, performance and reliability. And something more. KWC Makes Your Ideas Sparkle - thanks to well-tried technical components and meticulous attention to detail. KWC products have been continuously developed and perfected with a great deal of love. With KWC, there are no limits to your furnishing ideas: you can bring faucets and accessories together to match your own tastes.